I’ll admit it, and I’ll probably have my long-term traveller’s membership card revoked for saying it, but I hadn’t heard of Angkor Wat nor the Khmer Temples until I started flicking through the Cambodia Lonely Planet just a few weeks before we were due to arrive there. 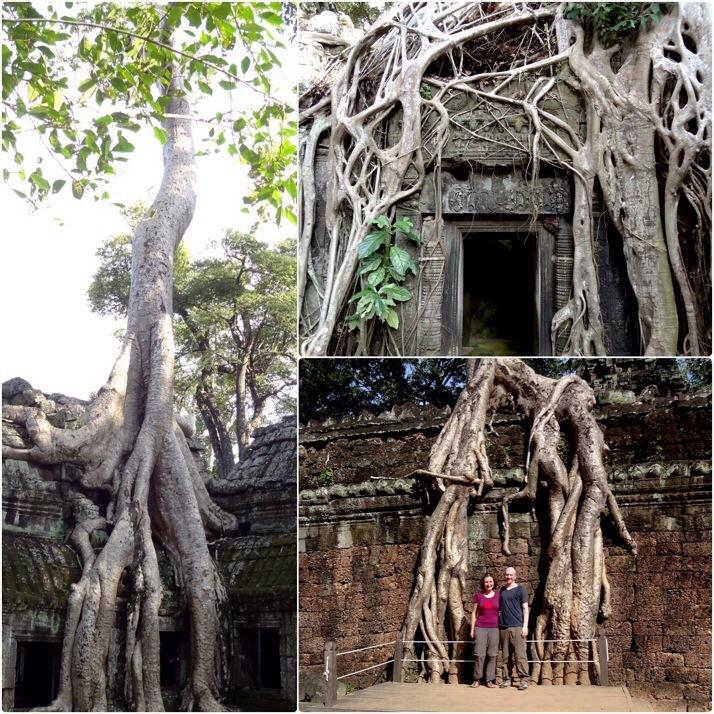 Julie had just assumed that as Cambodia was in our plan from the start, I knew and shared her reason – the reason it seems – to visit Cambodia. 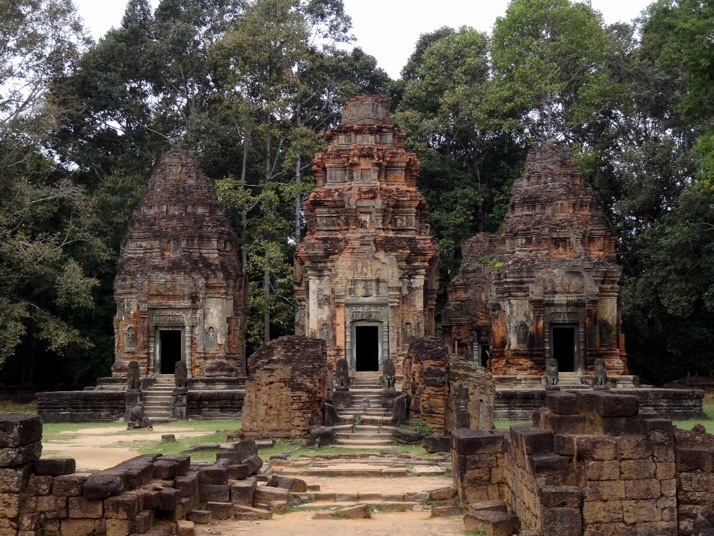 Well, after a week visiting the various temple complexes from our base in Siem Reap, I wouldn’t profess to being an expert, but I can tell you where they are, what they look like, roughly when they were built and most of all that you should definitely visit. They are, quite simply, magnificent. After a modest entranceway, 6 brick temples stand on a raised platform in a 3×2 formation. 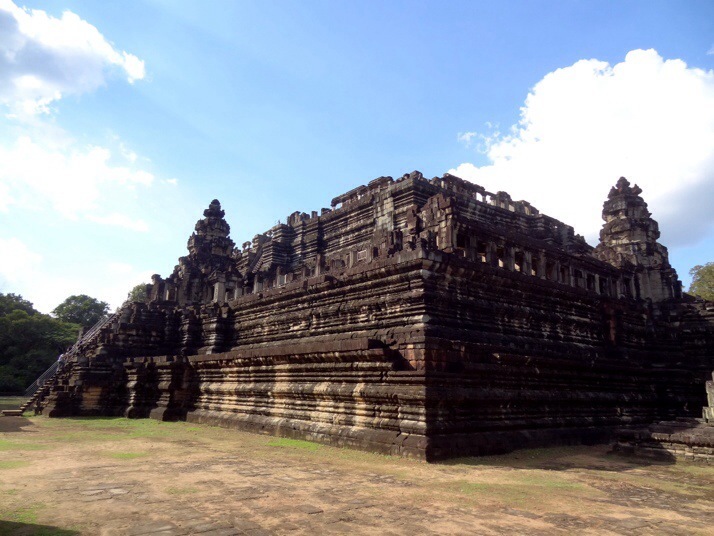 The front 3 temples are dedicated to male members of the then King’s deified family, and the rear 3 to female members, with the front-central tower the tallest. As we walked around the towers, we first noticed the carvings – male figures on the male temples, female on the female ones – then we noticed the symmetry was off. With the exception of the two middle towers, the alignment of the outer four is off in both axis with each other. This “architectural jazz” initially put me off, but as we pondered their reasons we came up with some interesting ideas.. perhaps there’s some hidden meaning to the seemingly random alignment? Maybe the family members didn’t get along? 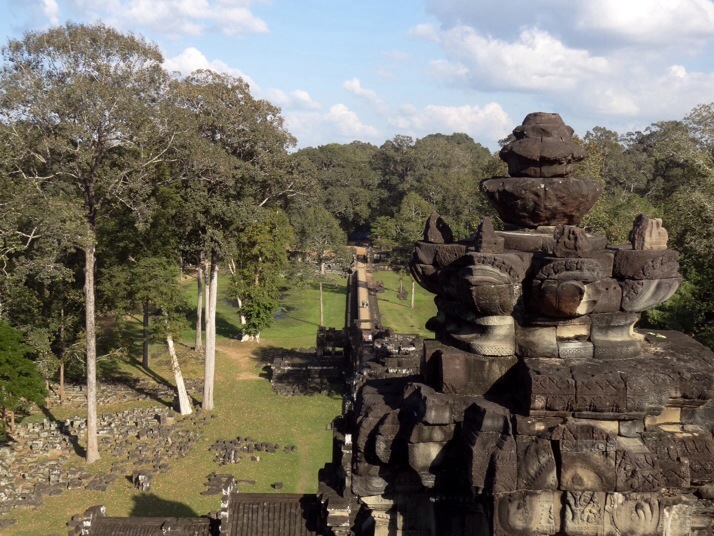 Perhaps it’s a status thing, proximity to the main male central temple denoting importance or favouritism from King Indravarman I – the King responsible for its construction. The temples’ beauty together with the possibilities of wondrous conjecture makes this temple memorable for me, and it was fun to ponder out loud as we explored it. 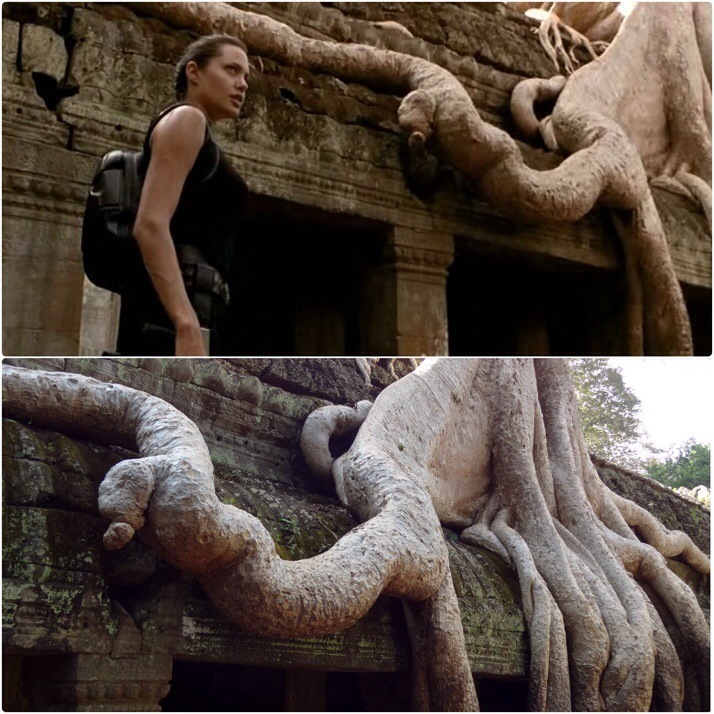 Beloved for two reasons: firstly, the trees have started to reclaim the land in spectacular fashion, reaching through the temples, walls and corridors; and secondly, it was chosen as a filming location for Tomb Raider. I loved the high external walls, which encase a large open outer courtyard and the central densely-packed temples and corridors. Oh, and those probing roots of the giant, wonderful trees. 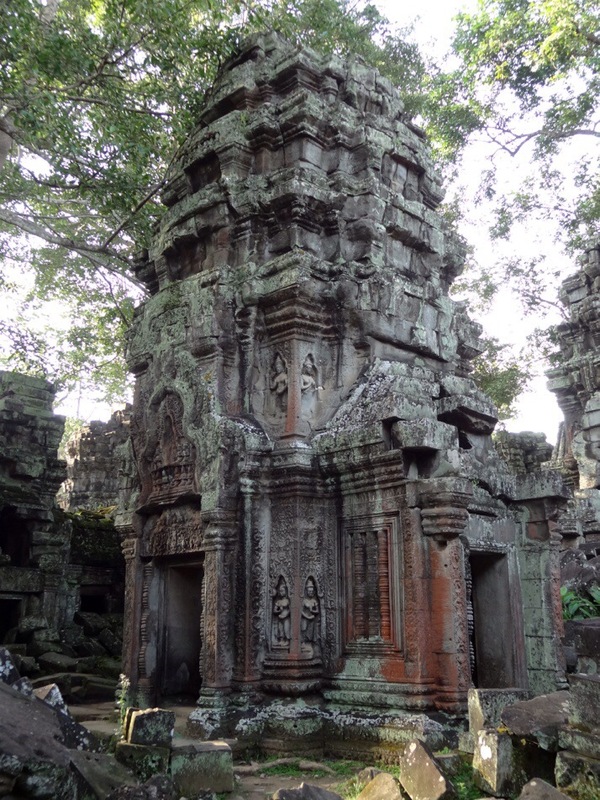 Ta Prohm is quite a busy temple because of its proximity to the Angkor Thom complex, sitting just outside the eastern gate and on the well travelled tourist trail called the small loop. 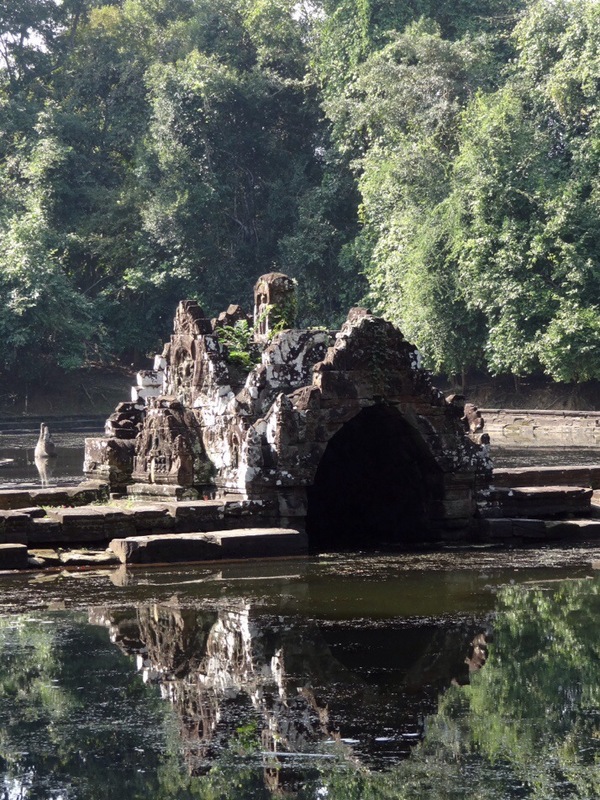 Neak Pean isn’t a temple we could walk around. 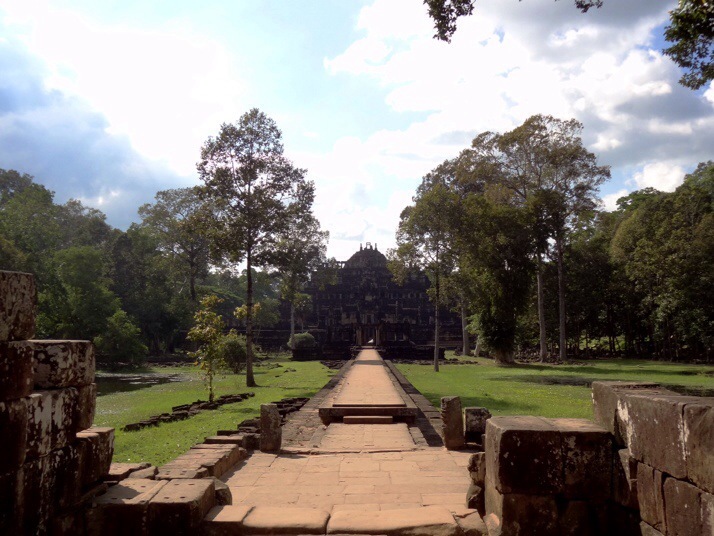 It was built in the middle of a large reservoir (a baray in Khmer) and was designed to be visited by boat. 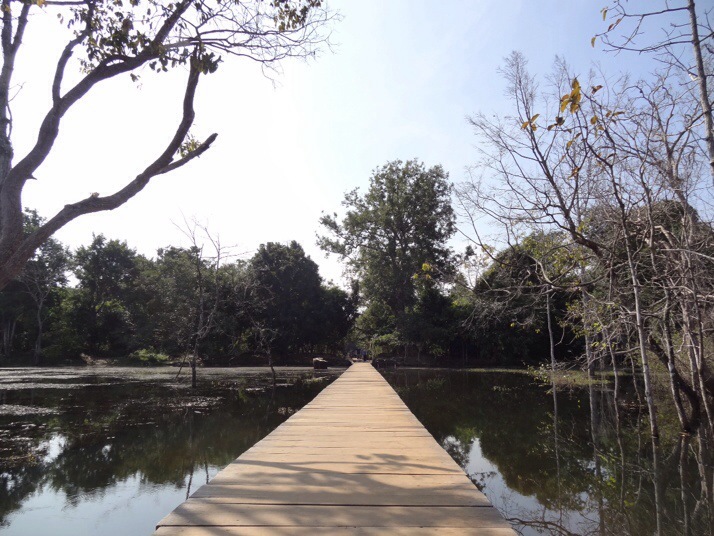 Today there’s a long, narrow walkway through the baray, and once we’d made our way to it we couldn’t actually get any closer than the outside edge of one of the 4 outside pools, something that made me appreciate it even more! Neak Pean: Small. Watery. Wonderful. 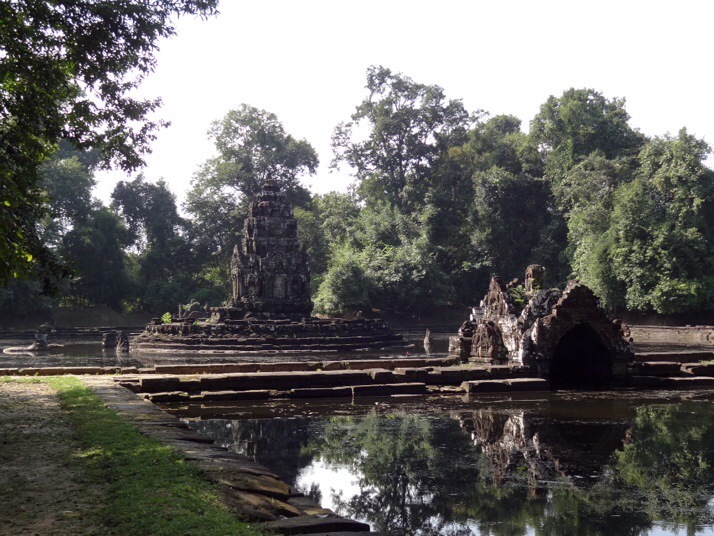 Pandering to my perpendicular and symmetrical sensibilities, Neak Pean is comprised of a central circular tower that sits on a square base in a square pool with 4 smaller square pools on its cardinal sides. Water once flowed from the central pool through ornamental spouts into the other pools, and on into the baray. The spouts are each carved into different heads; an Elephant, a Horse, a Lion and a Human, with only the Elephant one visible from the north side viewing area. Neak Pean: The Elephant Head spout. Let me know if you spot the elephant because I can’t see it! There was a little bit of construction or conservation going on when we visited, which I suspect was the reason we couldn’t get any closer. It didn’t spoil my enjoyment, but perhaps the other spouts might be more obvious to make out. Walking towards the temple, not only was I elevated physically, but somehow spiritually too. I felt important, but not in an egotistical sense, more of a regal one, and I found myself walking taller. My pace slowed, I savoured each step, and I had more time to appreciate the closeness of the surrounding forest. It may have been our timing, but on the two occasions we visited it was quiet. It’s not one of the “main” temples in the complex, but it is definitely my favourite. 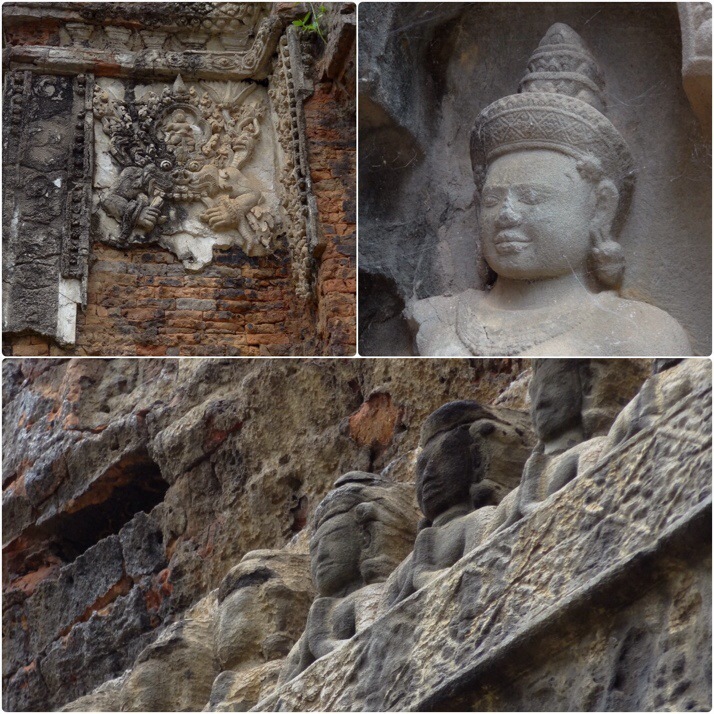 If you’ve been to Angkor, which temples did you enjoy the most? If you haven’t been yet, there are plenty of temples to see so make sure you give yourself the time to appreciate as many as you can! 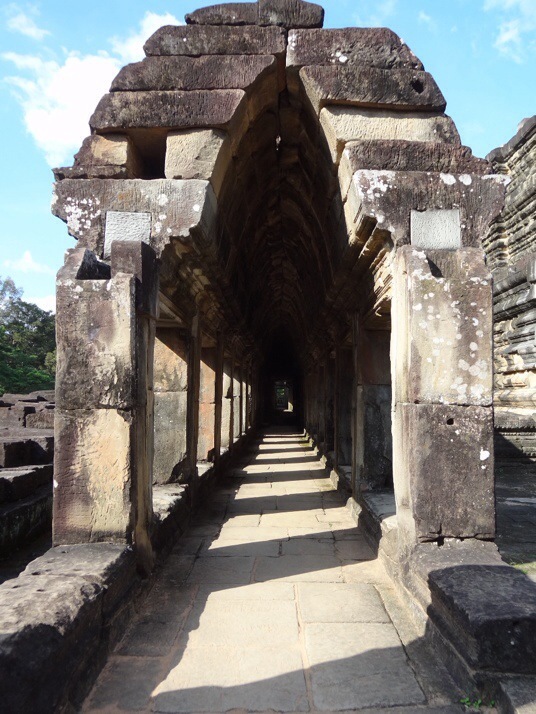 This entry was posted in Places and tagged Angkor Wat, Cambodia, temple on December 19, 2013 by Andrew. What is 33 + 21 ?